• Download the uWebCam desktop software compatible with Windows 7, Vista and XP by clicking the "uWebCam" link. 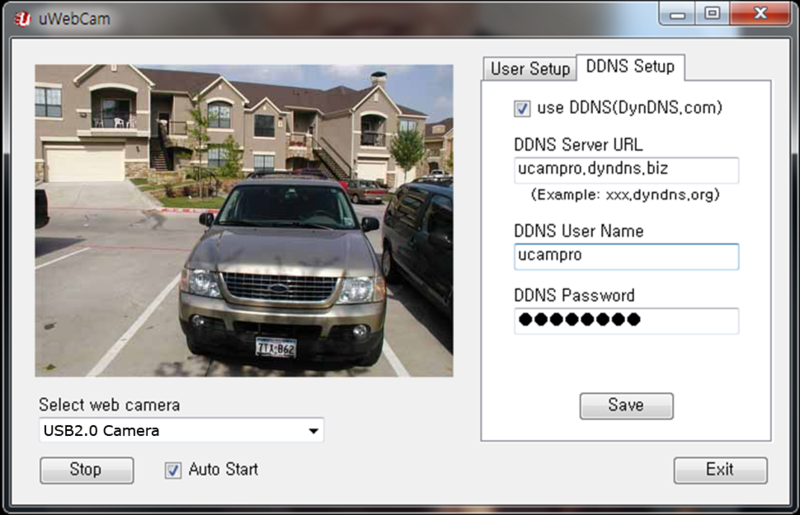 • Install uWebCam software on your desktop PC. • The installation wizard will guide you through the steps required to install uWebCam desktop software. It is recommended that you close all other applications before starting Setup. This will make it possible to update relevant system files without having to reboot your computer. • If asked to Block or Unblock the desktop application, choose unblock to ensure your video stream is accessible. • Setup for user and DDNS account. • Enter login, password, and port number, DDNS account only if DynDNS.com is used. 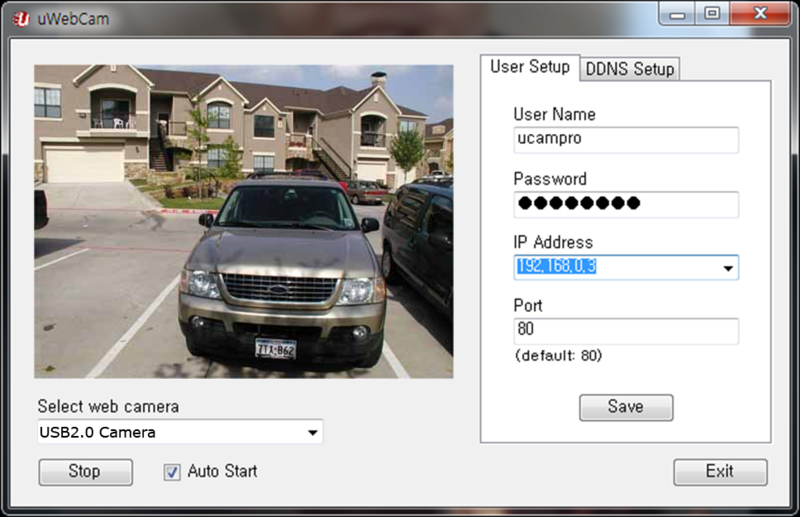 • Start uCamPro or uNetCams on your SmartPhone, and enter the same uWebCam login, password, and port number matches the uWebCam port chosen. • The router is the device that the Internet sees; it holds the public IP address. The computers behind the router, on the other hand, are invisible to the Internet as they hold a local IP address each. Port forwarding is necessary in the router because computers will send information directed to the public IP address and the router needs to know where to send that information. • For security reasons, routers don't normally allow external traffic into your home or office network. • Some ISPs can block incoming connections to well known ports (80 and 8080 for HTTP, 20 and 21 for FTP, 25 for SMTP, 110 for POP3). If that is the case, you need to forward a non blocked port number in the router and map it into your computer port number. • If you have already got your own static IP address or other DDNS account, you don’t need to fill in the blanks.